The AmeriGlide Hercules II DC 750 Portable is a practical addition to any commercial or residential application that requires wheelchair accessibility in more than one location. 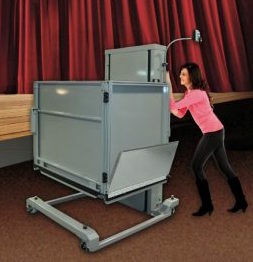 The DC 750 Portable can be moved between locations quickly and easily with its retractable casters and adjustable stabilizing screws. The non-skid epoxy coated floor and galvanized steel panel is durable and weather resistant for outdoor applications, even in the harshest conditions. A 750 pound weight capacity comes standard, great for lifting large wheelchairs. The acme screw direct drive makes the 750 Portable the smoothest and quietest lift on the market. Being battery powered, the lift and its automatic self-lowering folding ramp (standard) will even work during a power outage. 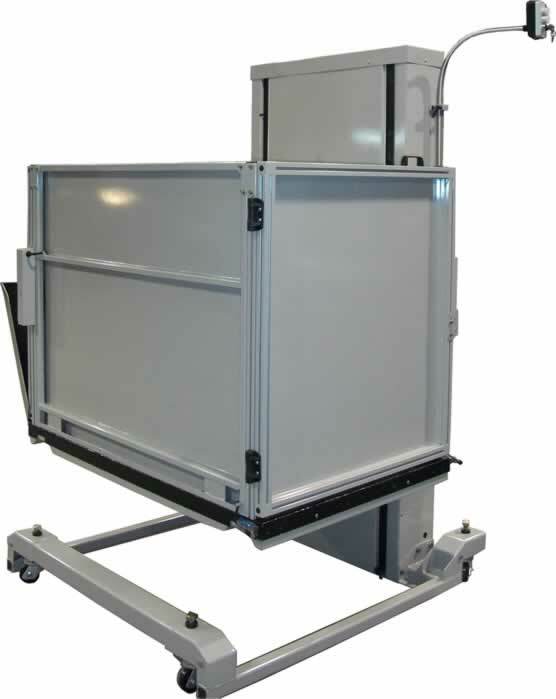 To learn more about the Hercules II DC 750 Portable Vertical Platform Lift, call and speak with our experienced VPL experts today.